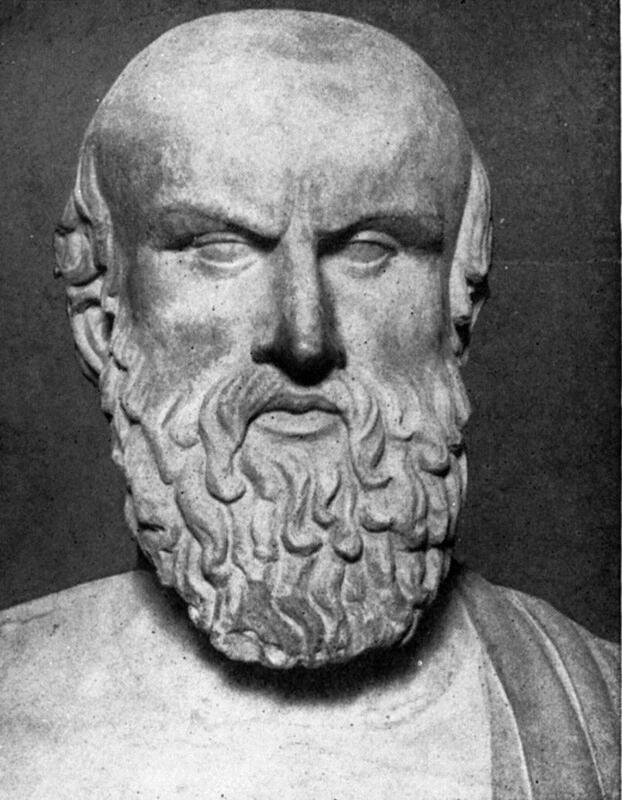 Aeschylus was the first of the three ancient Greek tragedians whose plays can still be read or performed, the others being Sophocles and Euripides. 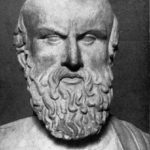 He is often described as the father of tragedy: Our knowledge of the genre begins with his work and our understanding of earlier tragedies is largely based on inferences from his surviving plays. According to Aristotle, he expanded the number of characters in plays to allow for conflict amongst them, whereas previously characters had interacted only with the chorus. Only seven of his estimated seventy to ninety plays have survived into modern times, and there is a longstanding debate about his authorship of one of these plays, Prometheus Bound. "Time brings all things to pass." "I know how men in exile feed on dreams." "For children preserve the fame of a man after his death." "When strength is yoked with justice, where is a mightier pair than they?" "Of all the gods only death does not desire gifts." "By polluting clear water with slime you will never find good drinking water." "God lends a helping hand to the man who tries hard." "By Time and Age full many things are taught."